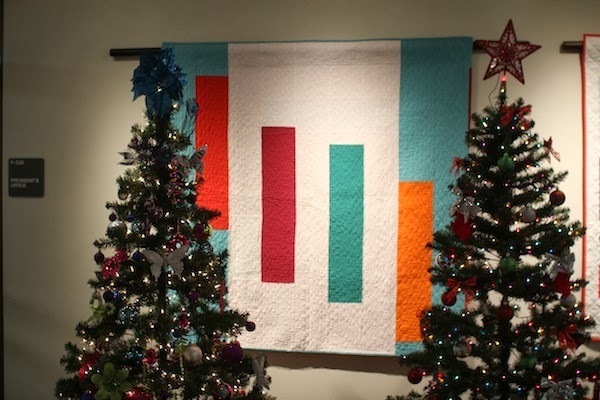 Gainesville Modern Quilters — quilt show! I’m so glad that Vanessa is a great photographer–the lighting at our group show in December was challenging to say the least! She shared these pictures from the show, so I thought I would post. My first official quilt show! (You’re probably tired of seeing this quilt. I have a new one almost finished so there is some variety on the horizon.) 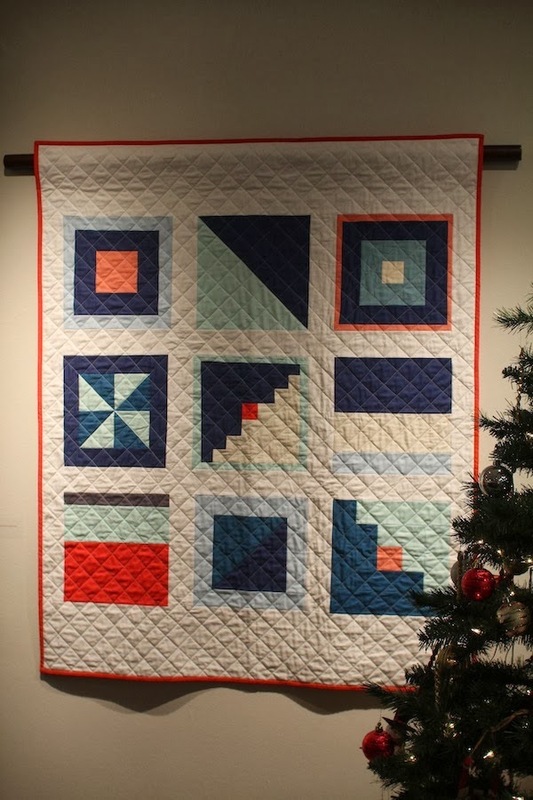 You can see all the quilts on the Gainesville Modern Quilters website. 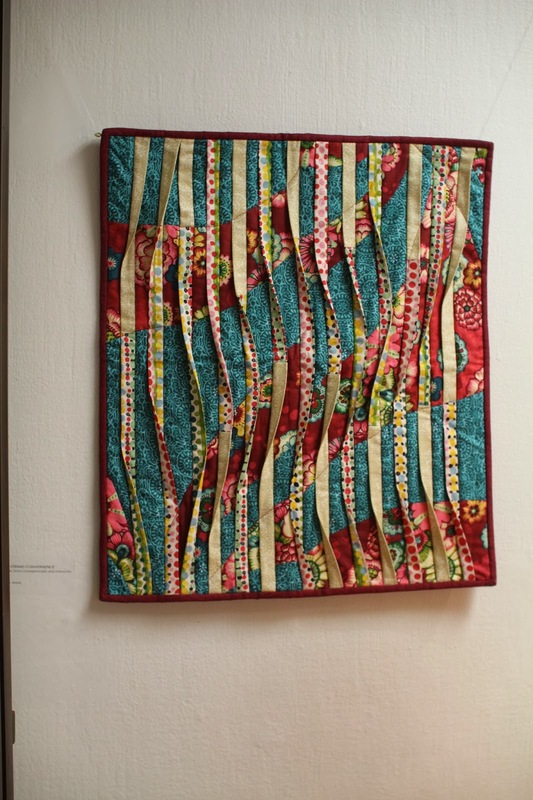 I thought this quilt was really innovative–I love the three-dimensional aspect! Sorry I don’t have the quilter’s name for this one. Here is Vanessa’s quilt–a little tucked behind the trees. I really like the geometric design and the free-motion quilting. This entry was posted in Modern Quilt Guild, quilts and tagged modern quilt guild, modern quilts, quilt show on January 10, 2014 by brigitdermott. Thanks, Maggy! It was pretty fun to be in an exhibit. Congratulations, Brig! It looks fab! I like how you can see the quilting in the photo.